A Quiet Place (film, 2018). A 2018 American post-apocalyptic horror film with "PG-13" rating by Paramount Pictures. Directed by John Krasinski. Official Trailer. A Quiet Place is a 2018 American post-apocalyptic horror film directed by John Krasinski. 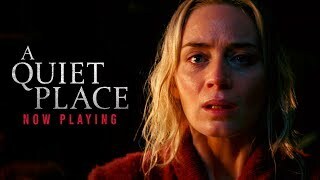 A Quiet Place (2018) - Final Trailer - Paramount Pictures. Over three months in 2020, most of Earth's human and animal populations have been wiped out by sightless creatures of unknown origin. The creatures, attacking anything that makes noise, have hypersensitive hearing and indestructible, armored skin. The Abbott familywife Evelyn, husband Lee, congenitally deaf daughter Regan, and sons Marcus and Beausilently scavenge for supplies in a deserted town. While out in the open, the family communicates with American Sign Language (ASL). Four-year-old Beau is drawn to a battery-powered space shuttle toy, but Lee takes it away due to the noise it would make. Regan returns the toy to Beau, who also takes the batteries that his father removed from it. Beau activates the toy when the family is walking home and crossing a bridge, giving away his location to a nearby creature which kills him before Lee can save him. Over a year later, Regan continues to struggle with guilt over her brother's death, Evelyn enters the final stages of pregnancy, and Lee fruitlessly tries to make radio contact with the outside world. Lee attempts to upgrade Regan's cochlear implant with scavenged miniature amplifiers to restore her hearing, but the devices are ineffective. Later, Lee takes Marcus to a nearby river with a large waterfall to teach him to fish while Regan visits Beau's memorial. Lee explains to Marcus that they are safe from the creatures in the presence of louder sounds, as the sounds mask out their voices. Marcus then reveals that Regan blames herself for Beau's death and needs her father to tell her he still loves her. As Lee and Marcus head home from the river, they encounter an old man, standing over the corpse of an old woman, presumably his wife, who has been eviscerated. Lee motions for the man to be silent, but the man screams, attracting a creature. Lee picks up Marcus and runs as the creature attacks the old man, killing him. Alone at the house, Evelyn goes into labor earlier than expected. While making her way to their basement, she steps on an exposed nail. In pain, she accidentally drops a glass picture frame and alerts a nearby creature. Evelyn flips a switch that changes the exterior house lights to red as a danger signal to the others and struggles to remain silent during her contractions. 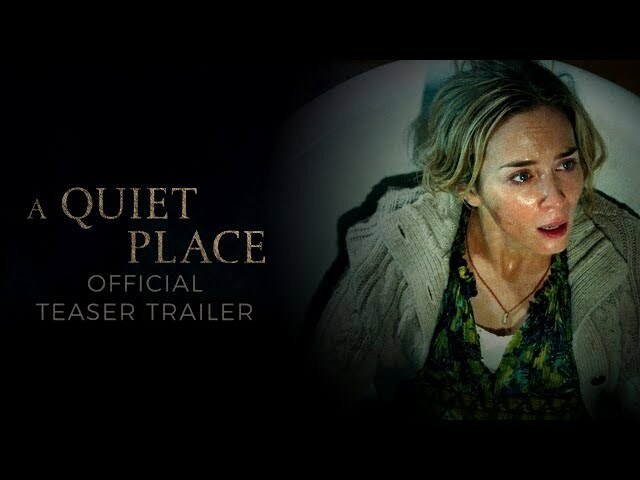 The film A Quiet Place was scheduled to be released by Paramount Pictures on March 9, 2018 (SXSW), on April 6, 2018 (United States), on April 12, 2018 (Germany) and on June 20, 2018 (France). The duration of the film is 90 minutes. With a budget of $17 - 21 million, the film grossed over $340.9 million. 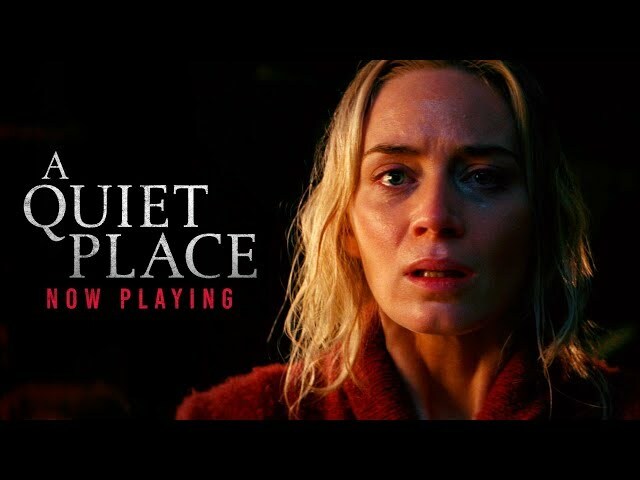 A Quiet Place got high rating from critics. The audience also likes the film. Audiences polled by CinemaScore gave the film an average grade of "B+" on a scale ranging from A+ to F.